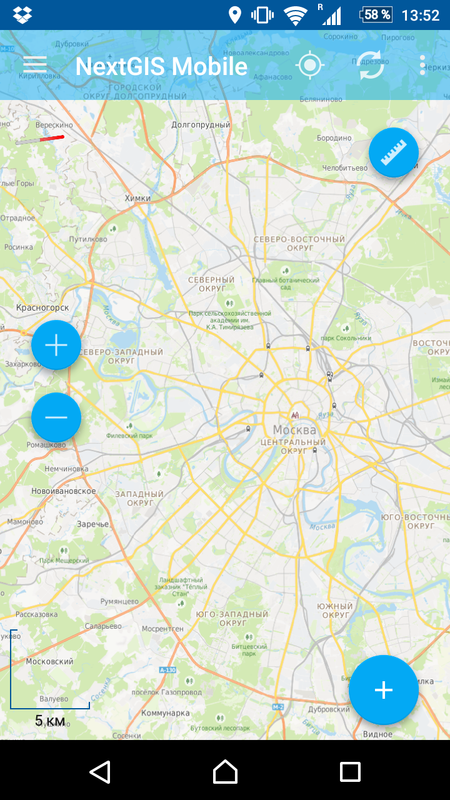 New version of our Mobile GIS – NextGIS Mobile is out. 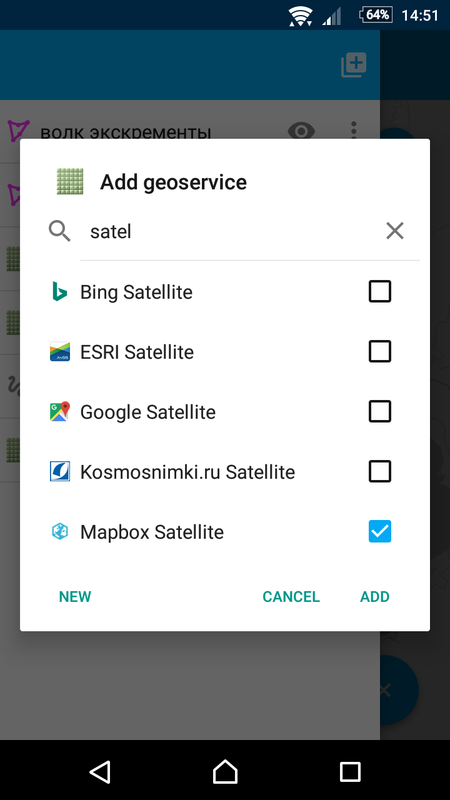 NextGIS Mobile works with many kinds of spatial data and can visualize, edit and synchronize spatial data with the server. New version features: QMS and nextgis.com support, new editing, symbology and much more. 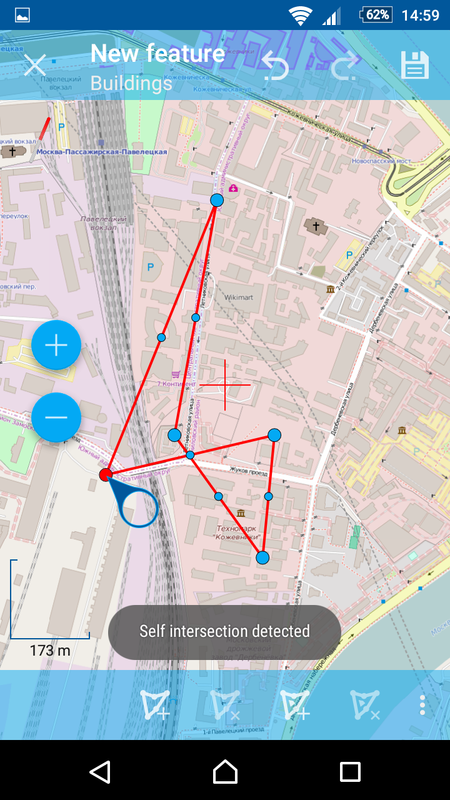 NGM can be used either separately or as part of the corporate GIS architecture, for example for data collection, control or assessment. At NextGIS we are using NGM as a platform for custom products development. If you’re looking into using NGM for development or implementation of your corporate GIS, let us know and we will be happy to discuss options. Here we will discuss main improvements of the new release. Full list of changes can be found here. 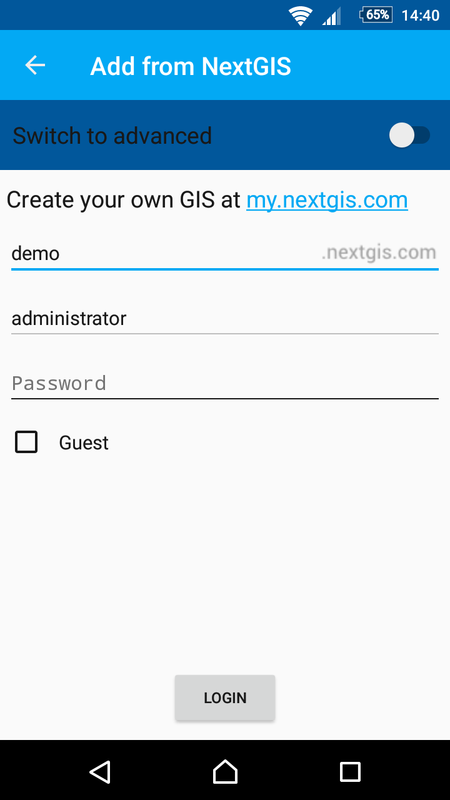 As you probably now, we’ve recently launched nextgis.com – new service where you can created your cloud Web GIS with zero programming right in your browser. The main news is that NextGIS Mobile now supports this service. Next important news is support of our catalog service – NextGIS QMS. 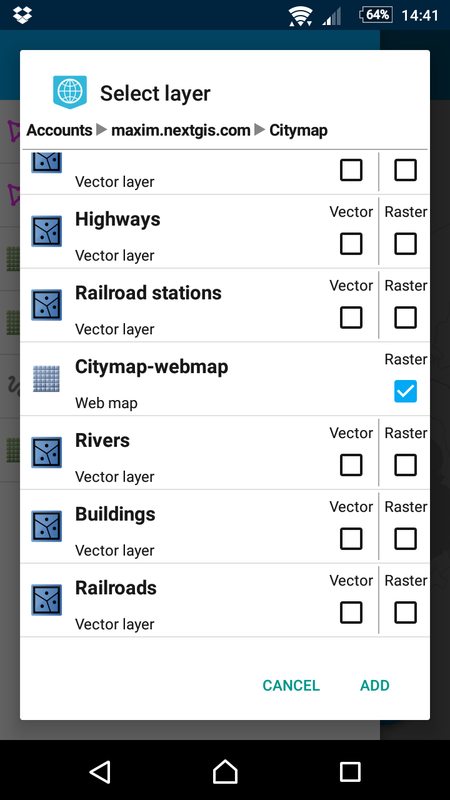 This service makes adding dozens different basemaps as layers super easy. 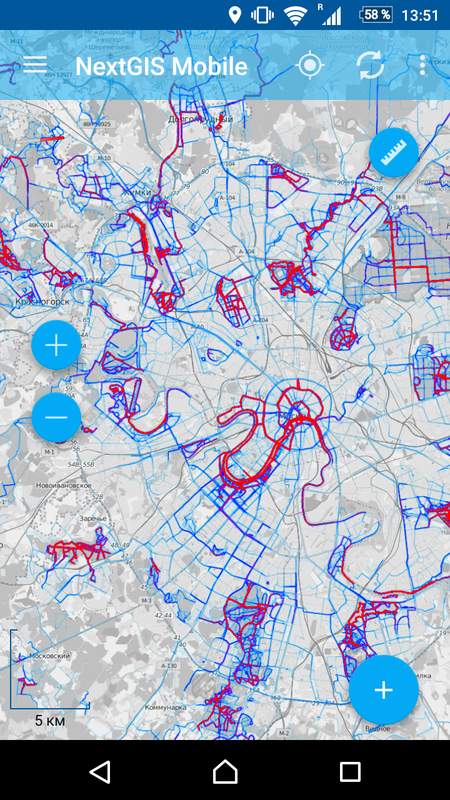 Shown below: seaching for services, OpenStreetMap+Strava, Sputnik. 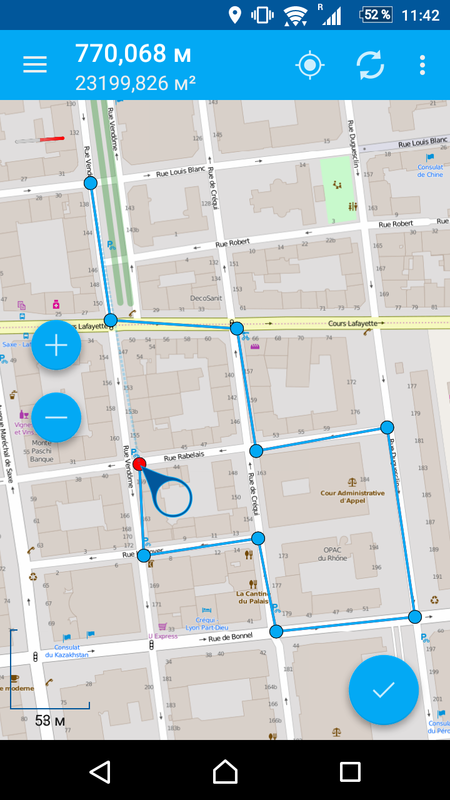 We’ve added a number of useful tools: measurements of distances and areas, scale bar. 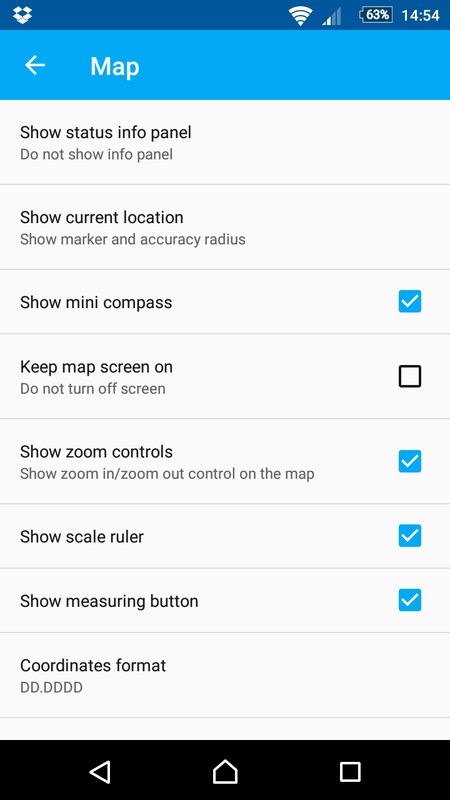 All tools can be switched off on the settings screen. While editing, it is now possible to undo/redo individual node changes. Earlier it was possible to undo/redo only changes to the whole feature. Created features are automatically validated for errors in topology, such as self-intersections. 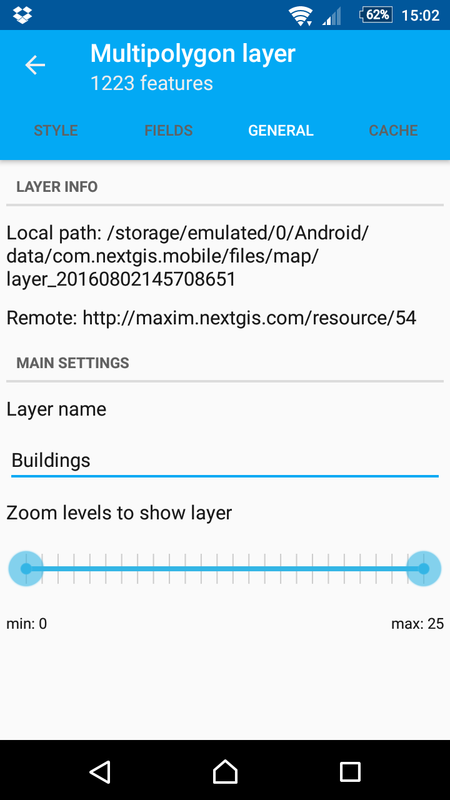 NGM will notify that problem exists and won’t let you save such feature. 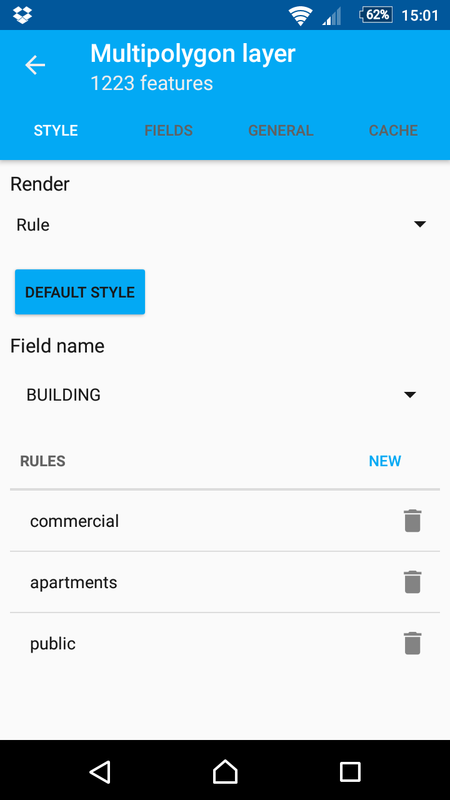 We’ve extended layer styling capabilities. In addition to fill color, now you can modify border, it’s color, width, transparency. You can also use categorized type of legend, where in one layer you can different symbols for different features based on their attributes. As the number of useful properties of each layer is growing we re-organized them in tabs: Style, Fields, General and Cache.